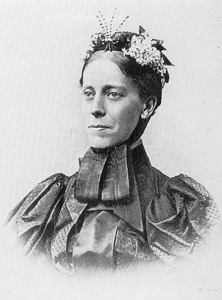 Mary Kingsley was conceived out of wedlock, her parents marrying only four days before her birth. She kept this fact a secret, but perhaps it, and a lack of religious education, imbued in her the impulse to defy the expectations of a Victorian woman. During her childhood in England, Kingsley was mostly left to her own devices. Her mother was sickly, and her father was a doctor who spent most of his time traveling abroad. True to the double standard of the time, younger brother Charley was educated at Cambridge, and Kingsley was not given any opportunity to go to school except for some lessons in German to help her father translate scientific texts. She took it upon herself to read volumes of books in her father’s library, especially those about science and foreign lands. The tales from her father’s adventures piqued her curiosity and gave her a window to a life she would dream about. Kingsley played the role of dutiful daughter for 30 years. As her mother’s health declined, Kingsley’s household duties included nurse. Dr. Kingsley contracted rheumatic fever on a trip and also became bedridden. In early 1892 both parents died within three months. There are no indications that she had any suitors, so Kingsley was resigned to live with her brother, a total flake. In 1982, Kingsley took a brief trip to the Canary Islands, and it left her wanting more. She was searching for a purpose and decided to travel to West Africa to follow up on some of her father’s projects. When Charley went to Asia in 1983, Kingsley seized the opportunity. She sought the counsel of friends and experts before leaving, all of whom cautioned her not to go. Ignoring their advice, in August 1893, Kingsley arrived in Angola. Despite the hot climate, she wore the skirts, blouses, high buttoned shoes and hats she wore at home, feeling that even in Africa she couldn’t justify dressing in an undignified manner. As a white spinster, Kingsley was an anomaly in Africa. The only other western women there were wives of missionaries. She did have a mission. Some doctors and scientists who advised her to stay home suggested that if she were to go anyway, she could help them by collecting specimens of fish and plants, which she did. 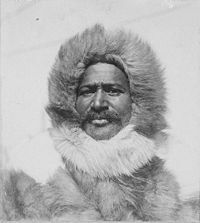 In December 1893 Kingsley returned to England and began preparing for her next African expedition. One year later she again found herself in the villages and jungles of West Africa. Kingsley fearlessly explored areas that no white person had ever been to before. She rowed a canoe up the Ogowe River in Gabon and was the first woman to climb Mount Cameroon, with a summit of 13,700 feet. When Kingsley returned to England in November 1895, she told her stories to curious journalists and captivated audiences, but not everyone agreed with her acceptance of the native lifestyle. She understood how tribal life functioned, and her support of that way of life contradicted the aims of the Church of England and British colonization. She upset the Church by defending the practices of the aboriginal Africans and criticizing the missionaries’ efforts to change them. Kingsley settled into her brother’s home and wrote Travels in West Africa, a detailed, candid account of her experiences. The book was a best seller and led to a very busy schedule on the lecture circuit. Always trying to enlighten as well as entertain, one lecture she gave to the staff and students at a London medical school was called “African Therapeutics from a Witch Doctor’s Point of View.” Her stories were so popular that she wrote another book, West African Studies, in quick succession that included all the anecdotes she left out of the first one. 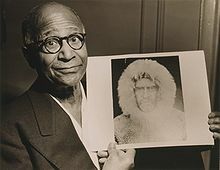 Kingsley’s legacy was not only sociological. Of all the plants and fish specimens she brought back, three fish species were previously unknown and named after her. In 1899, the intrepid adventurer went back to Africa, this time looking to collect fresh-water fish from the Orange River in South Africa. When she arrived in Cape Town, the Boer War was going strong. The best way for Kingsley to become involved was to nurse Boer prisoners at a camp in Simon’s Town. Typhoid infiltrated the camp, and Kingsley became infected. On June 3, 1900, she succumbed to typhoid and, at her insistence, was buried at sea. QUESTION: Where would you like to explore, and what do you think it would be like?